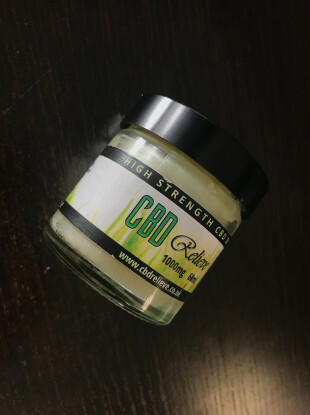 CBD Relieve sent DailyEdge.ie CBD products with no request for a review. DailyEdge.ie made no promise of a positive or negative review. YOU MIGHT HAVE seen my article a few weeks ago on how a cohort of Hollywood stars count CBD oil as their red carpet secret. Beyond claims that it’s a humdinger for those suffering with anxiety, (the beloved Aisling Bea is a fan), actors Busy Philips, Mandy Moore and Kristen Bell use CBD creams to help them last the night in heels. I decided to test this theory for myself using my arch nemesis – my best Ariana Grande boots. Like most shoes from Penneys (no offence), they are nigh-on impossible to stand or walk in after more than 20 minutes. But sure, I needed them, of course. They didn’t even look that high in the shop, and I suppose, they’re not really at four inches (behave yourselves.) And yet, they’re high enough that it feels as though the soles were fashioned from hot coals after a time. Now, as much as celebs have raved about its soothing properties, they’ve been vague enough about the process. Should you be applying from the very start of the day or just before you put the shoes on? I was none-the-wiser, but in an effort to give it my best go, I slathered some on the night before. Texture-wise, it’s feels like coconut oil – though not as quick to melt – with eucalyptus oil giving it its overall fragrance. It absorbs pretty quickly and is otherwise inoffensive. When it comes to these shoes, the main area I struggle with in terms of pain is the balls of my feet. Despite the heel of the shoe causing the problem, it’s never the heel of your foot that ends up being the problem, right? So, while my heels and ankles felt fine, my balls were unforgiving. While they didn’t full on blister, they were on the verge of it, and felt quite raw even the following morning. When I applied the balm again, it did take the sting out of it and was quite soothing. Did it help me last longer in my boots? Being totally honest, no. Maybe it is a case of regular use, and if it is, I have no issue amending this down the line and eating my words. As a product, it’s nice! Don’t get me wrong! It’s moisturising and smells nice, and it did take the edge off my raw feet the next day. Bar that, I really didn’t find that it made a difference while wearing the boots. Sorry! Some day, someone, somewhere will invent a cure. Unfortunately, today is not that day. Email “I tried rubbing CBD oil on my feet like a celeb to see if it helped me last the day in heels”. Feedback on “I tried rubbing CBD oil on my feet like a celeb to see if it helped me last the day in heels”.